For generations, people have been flocking to Put-in-Bay to cast their lines in the waters of Lake Erie. After all, Put-in-Bay is the Walleye Capital of the World! Countless groups of fishermen, from pros that travel the country to amateurs on a family vacation or bachelor party trip, have tried their luck on our waters. 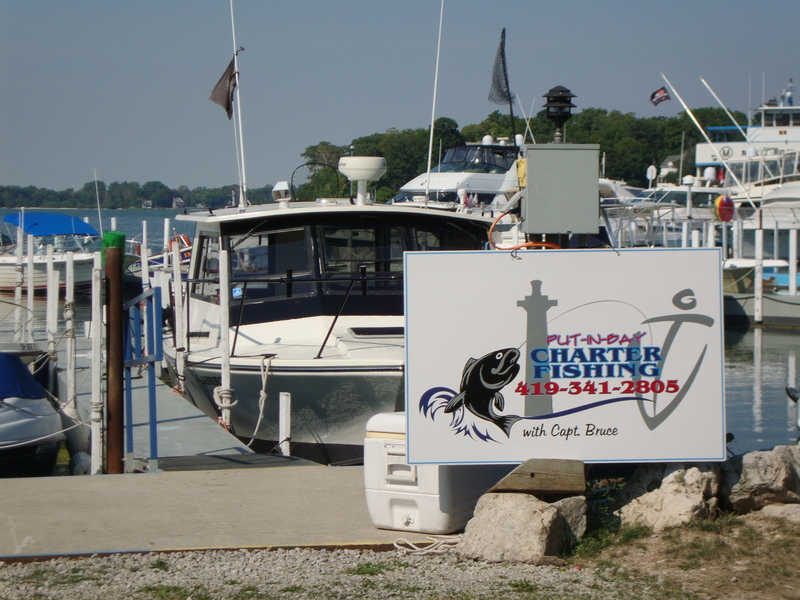 If you’re looking to join them, read on to learn about our Put-in-Bay fishing charters, watercraft rentals and more. 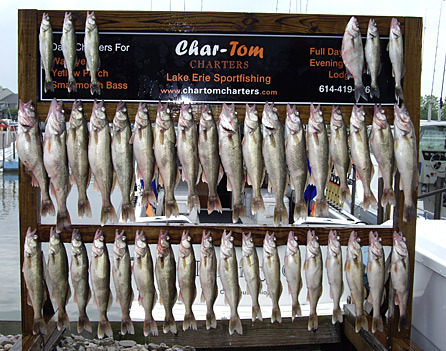 Everything that you’ll need to get out there on our beautiful Lake Erie and land the big one! 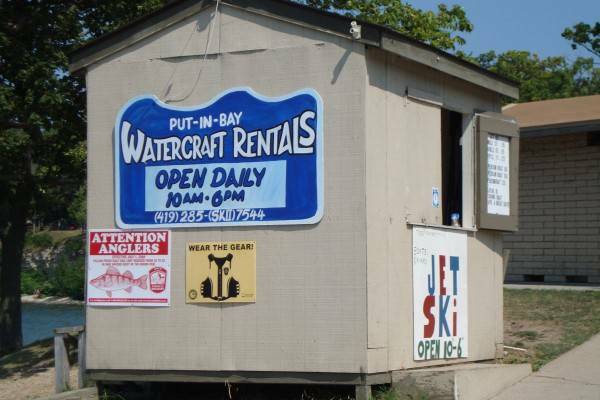 Put-in-Bay Watercraft Rental is an awesome way to get active on Lake Erie. Here, guests have options on watercraft to rent. There are jet skis, boats and kayaks available. Put yourself on the water for a memorable experience. 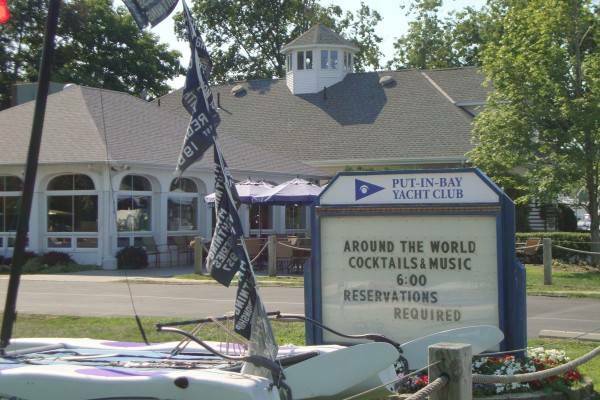 The Put-in-Bay Yacht Club is a private social organization that promotes boating on the island. This includes sailing, power boating and all aquatic sports. So, this is the group for those who love Lake Erie. Put-in-Bay Fishing, a Lake Erie tradition! Put-in-Bay attracts fishermen from all over the country to take part in great Lake Erie fishing. People come in the winter to do ice fishing, setting up shanties on the lake, and in the Springtime, Put-in-Bay is a fisher’s paradise. 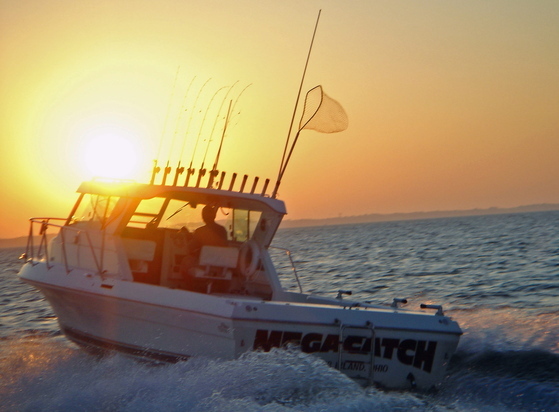 Professionals and amateurs alike come for as long as 3 weeks at a time, fishing every day and enjoying scenic Put-in-Bay in the evenings. While you might not be able to join us for that long, if you’re only here for a couple of days there’s still great options to get out onto the water and land some fish! 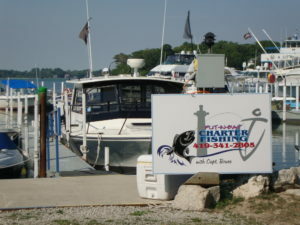 Put-in-Bay fishing charters will take you out to the best spots on the lake to help you land the big one! There are quite a few different charters to choose from, all with their own little touches to make the experience great. They can accommodate anything from bachelor parties to business trips, to family outings and everything in between. It’s a great way to partake in some fishing without all the headache of organizing gear, renting a boat, and all of that. All that you’ll need is an Ohio fishing license, which you can find at the Wharfside or Put-in-Bay Gas Station, right here on the island for your convenience! Some of the Put-in-Bay beaches also offer shoreline fishing spots for people to cast their lines into the lake from dry land. If you know much about fishing you’ll know that you aren’t quite as likely to land anything good like this, but it’s worth a try, sometimes you’ll get lucky and a big ol’ Walleye will be snooping around near the shore looking for a bite! 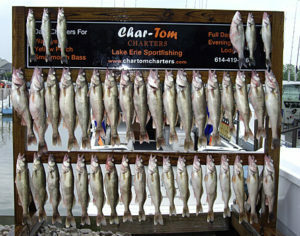 The waters around Put-in-Bay are most famous for the amount of Walleye. 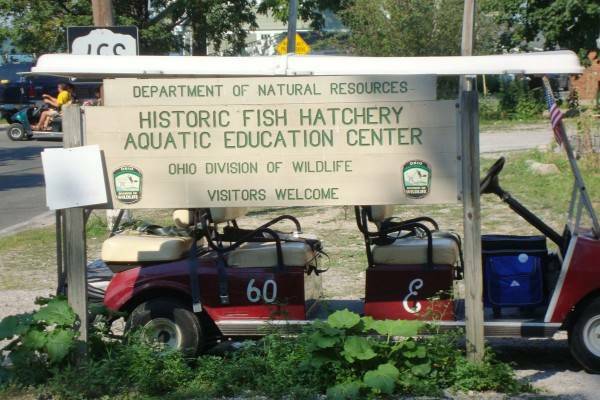 In fact, this area is referred to as the Walleye Capital of the World, and with good reason. It’s almost as if they’ll jump right into your boat! Marine researchers are predicting one the best Walleye spawns ever in 2019, so we expect that most of our Springtime guests are going to be very pleased with their haul! There’s a lot of different ways to enjoy some time on the lake landing some fish, but they all have one thing in common. You’ll need a place to stay! Check out our lodging page for all of your different choices in Put-in-Bay lodging and check the Put-in-Bay weather forecast for a clear day for some angling!